Genesis Christian College actively promotes a Christian worldview. 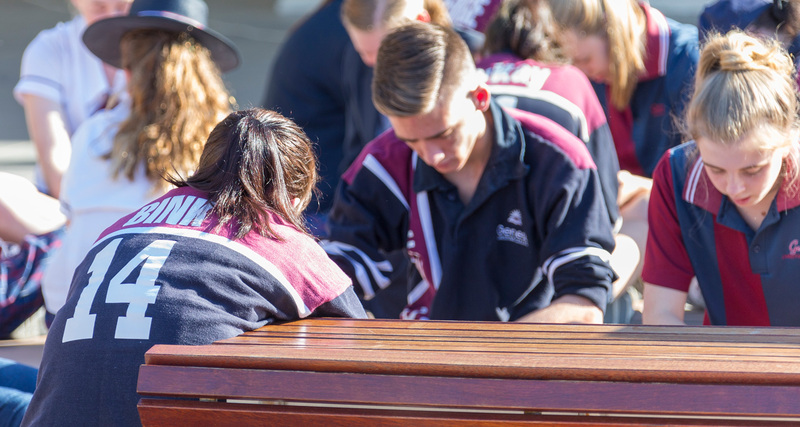 Christian character and service to our local and wider community is actively encouraged through the formation of prayer groups, fundraising and visits interstate and overseas. SIP (Students in Prayer) – Primary School students gather once a week during 2nd break to pray. The group has an outreach focus which includes raising money for the Australian Bible Society to send Bibles to Kenya and making Christmas hampers for needy families. Weekly connect groups gather for devotions and prayer. Red Nose Day – fundraising for S.I.D.S.